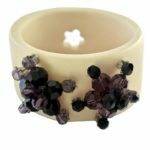 Make a statement with this sophisticated handmade Snow White Resin Bracelet! 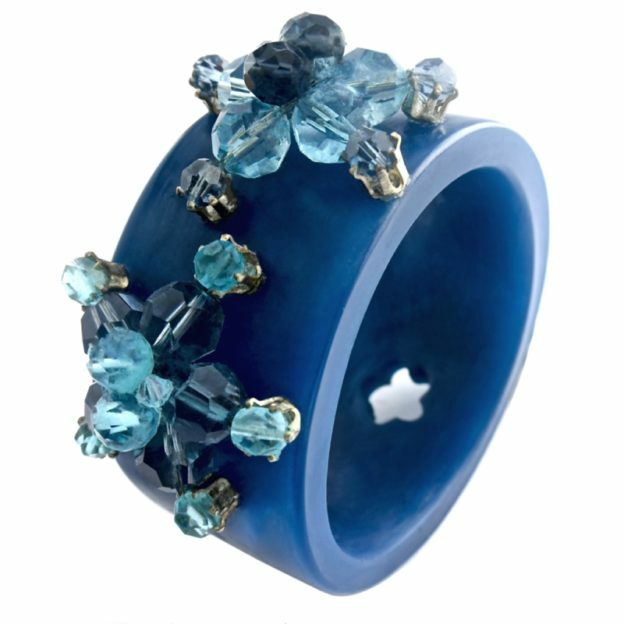 Each technicolor resin bangle is adorned with two signature crystal flowers in a vibrant eye-catching colour palette. Technicolor White is embellished with Swarovski beads in Amethyst and Jet. 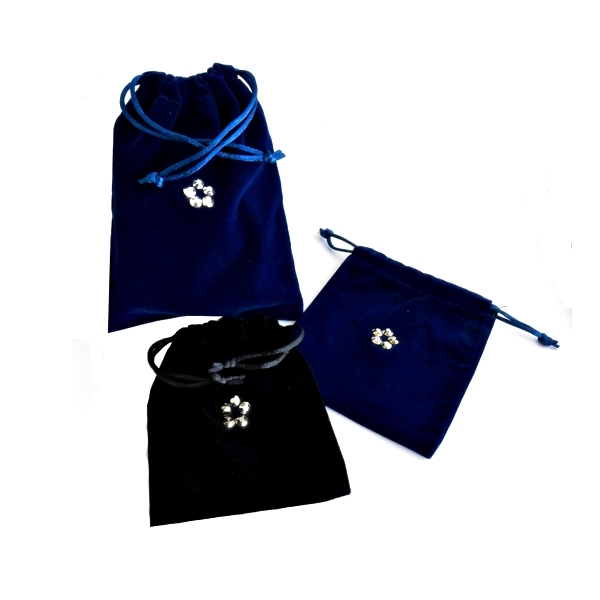 The sparking crystal flowers are set in silver claw settings like gemstones. 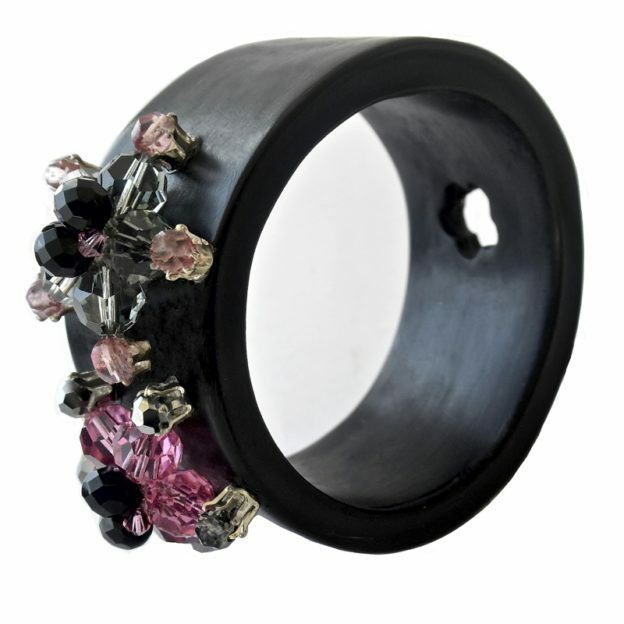 The Technicolor resin bangle bracelets are ultra glamorous!